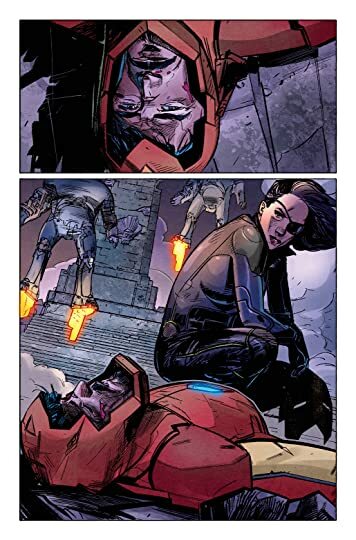 After Tony Stark learned that he wasn't the son of Howard and Maria Stark, he went searching for his real parents. It wasn't the easiest of mysteries to solve. I don't blame Brian Michael Bendis for this Tony Stark parentage mess. I believe that honor fully belongs to Kieron Gillen. So Tony isn't Howard's son, so whose son is he? That's what International Iron Man is all about. It's dry and unfulfilling truthfully. I'm not sure what I expected, but it surely wasn't this. The concept stinks of desperation to me. They needed something shocking to happen with Iron Man so they made him into an adopted child. Oh well, it's done and will surely be undone at the first convenient moment.